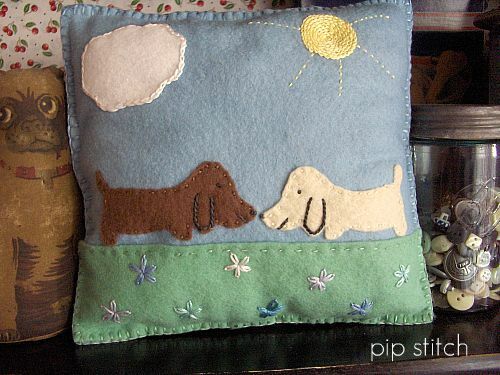 Pip Stitch: First Post Of 2015, Woo Hoo! First Post Of 2015, Woo Hoo! I was happy with it until I stitched the teeth. I tried to do them freehand at first and that did not turn out well so I traced the pattern on to some tissue paper and stitched right over the paper on the felt. This is the second time I've tried that method and once again I was disappointed in the final result. Maybe it's me but when I remove the little bits of tissue paper that get stuck under my stitching, I end up pulling on threads and then it looks like crap. I'm also not thrilled with the blue whatever-they-are below the eyes. The tutorial sample had three lines and I did four and I think it's too many. But hey, at least I finished something. Alert the media! The other time I used the tissue paper trick, I made this strawberry scissors keep from Red Brolly last year. This was another night where I just had this strong urge to make something. 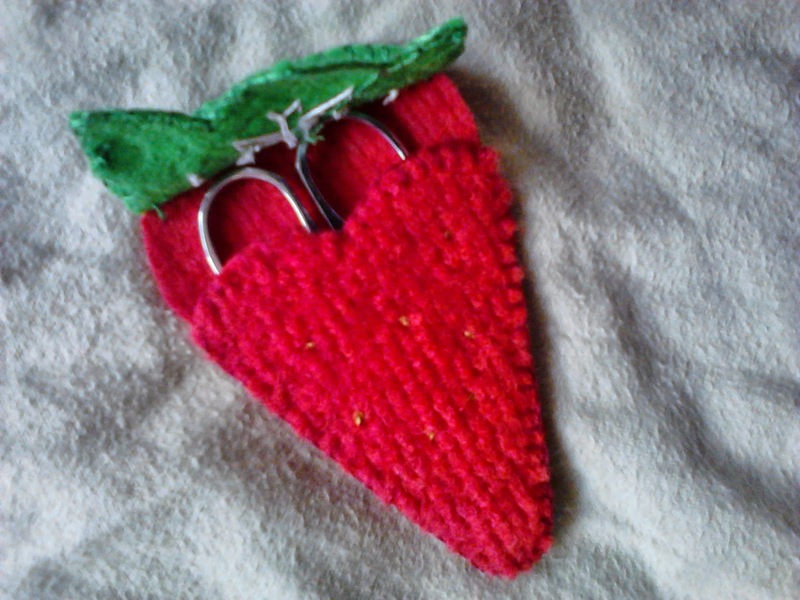 Red Brolly's scissors keep is made from fabric but I made mine with felt. 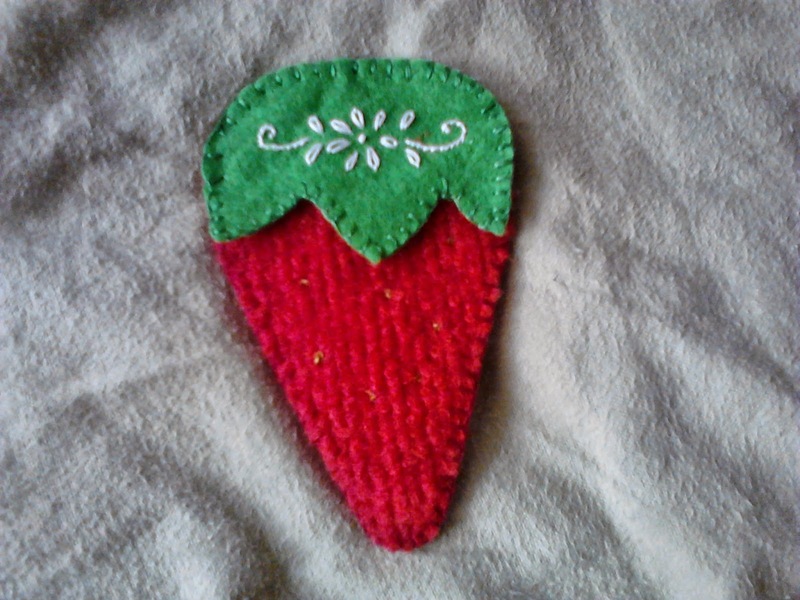 I used floss to make the strawberry's seeds, instead of pearl beads, and did not add a bow at the top because I forgot. The green is regular felt but the red is super thick felt so the pointy end of my scissors does not poke through. 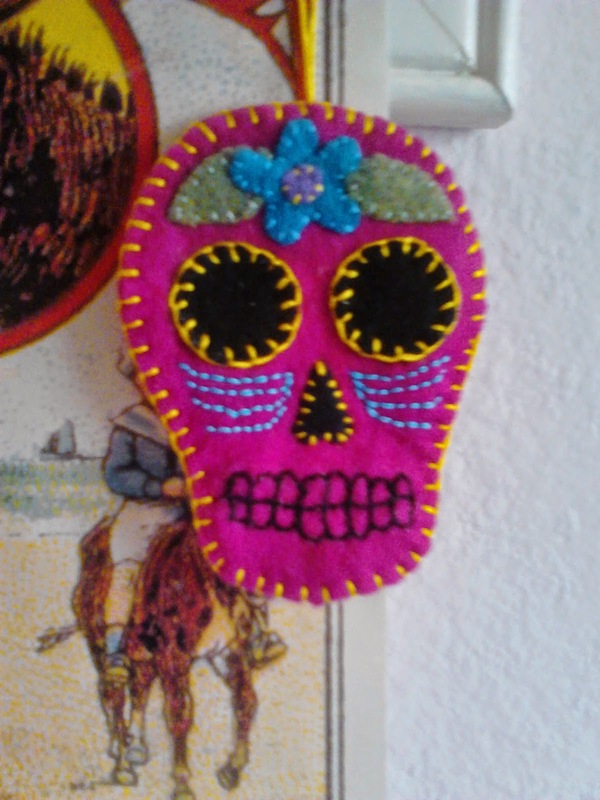 By the way, while I was making the sugar skull on Halloween, I realized I have the dullest scissors in the world. I used tissue paper to stitch the embroidery design on the stem and then loosened the threads when I yanked out removed all the little bits of tissue paper. I think I did a crappy job of removing the tissue paper and it messed up my stitches. I hate this method. After looking at the original, I think it needs that bow on top. And speaking of cases for keeping your scissors, I love this one from Feeling Stitchy. Maybe I will make that one the next time I need to make something.